Located beach side and only an hour and a half from Melbourne, we offer the perfect destination for school camps, team building or retreats. Catering for groups of all sizes, we have a large range of accommodation options, including self contained cabins and campsites. 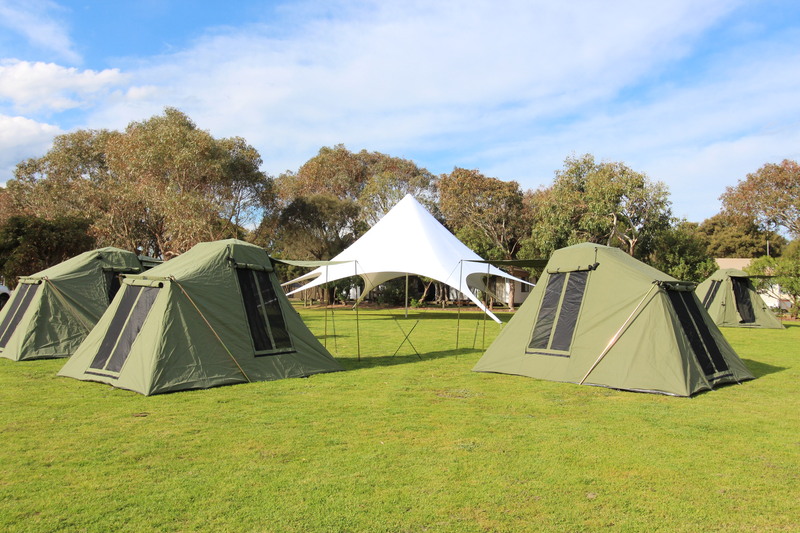 We have brand new school tents available to hire also, so even if your school does not have camping gear, you can still come and enjoy the great Aussie experience of camping. Our caravan park is managed by the Great Ocean Road Coast Committee. We therefore offer FREE environmental education to all schools and groups visiting our parks and the coast. Our vision is to offer world leading coastal experiences for all. Call us to discuss the accommodation option to suit your needs and budget today!